I may not have published this here in time to give you warning (but if you follow this site on Twitter, it was promoted!) but if you didn’t have your eyes on ABC TV last night, you would’ve missed Judith Lucy having a chat to Adam Hills on In Gordon Street Tonight. Lucy sat comfortably and chatted to Hills about her new stand-up tour Nothing Fancy, lightly spoke about her show shown on ABC last year, Judith Lucy’s Spiritual Journey and her inspirations on both shows… plus touched a bit on her crush on 80s pop sensation Adam Ant, who appeared on the show. 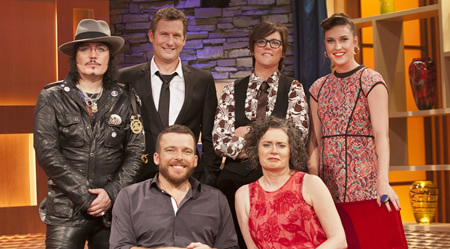 If you missed it, you can watch the show online via iView, or download it from the site or iTunes.